Your hair can be a huge part of your identity and how you feel about yourself so when something goes wrong or feels different it can bring on the panic! I absolutely love Philip Kingsley Products and in particular the Elasticizer as it has sorted out my hair a fair few times when I have stressed it out with colouring or exposure to sea water and the sun on Holiday! 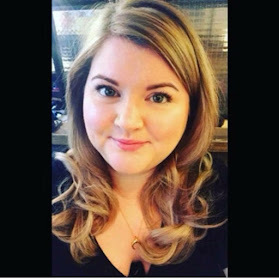 I was recently able to ask Anabel Kingsley (Trichologist and daughter of Philip) some questions about how best to tackle the common hair problems people experience and I am delighted to be able to share the knowledge with you! I picked out the main themes that I have personally experienced along with my family and friends so hopefully you will find this beneficial! Prevention, Cure and during.. what are the best things you can do? A good rule of thumb is to care for your hair and scalp in a similar way to the skin on your face. You take them to the same places and they are subject to the same environmental assaults. i.e. wind, UV rays, dirt and pollutants. ‘Scalp’ is really the operative word here. Being the environment from which hair grows, it is here where the optimization of strands begins. After giving birth, or stopping to breast-feed, oestrogen levels drop and return to normal. This can cause all the hairs retained during pregnancy to shed at once, resulting in a diffuse and often severe type of hair fall called post-partum hair loss. Due to the nature of the hair growth cycle, this usually occurs 6-12 weeks later. In a study we conducted, we found that approximately 50% of women will get partum hair loss – and we do not know why some women experience it and others do not. It can also occur after one pregnancy, but not another. It is impossible to predict. If post-partum hair loss is going to occur, there is unfortunately nothing that can be done to prevent it – it must be left to run its course. But try not to worry, the loss is only temporary and all hairs shed should grow back. However, what you are able to do is to give follicles the internal support they need in order to re-grow at their optimal rate. Eat a healthy, balanced diet rich in protein and iron. Taking a daily protein supplement and a multi-vitamin containing iron, Vitamin B12 and Vitamin D can also be of great help. As hair is non-essential tissue, it often needs some extra nutritional support. (PK4 Hair and Tricho Complex). People with naturally fine hair tend to get greasy hair faster than those with other hair textures. This is because individuals with fine hair have more hairs per square centimetre - and each hair has a sebaceous (oil) gland attached to it. As a result, the scalp produces more oils. To help soak up excess oils, and to calm itching between shampoos, use a dry shampoo with scalp benefits. 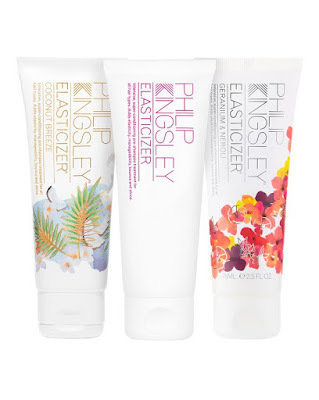 Philip Kingsley makes a very lightweight dry shampoo (Philip Kingsley One More Day Dry Shampoo) that contains Zinc PCA, Allantoin and Bisabolol, all of which help to sooth the scalp. You can also use a daily anti-microbial scalp toner (Philip Kingsley Scalp Toner). However, if you leave more than 2-3 days between shampoos, your hair is going to start looking greasy no matter what you do. If your roots are looking oily, it’s really best just to wash your hair. It doesn’t take long and you will be doing your hair a world of good. Hair grows its best from a clean and healthy scalp. However, if you can’t shampoo use a lightweight dry shampoo with both hair and scalp benefits. Fine particles will help soak up oils without producing a gritty feeling and anti-microbial ingredients will help keep the scalp as healthy as possible between washes. What does normal hair loss looks like? Hair thinning occurs when follicles in pattern areas are genetically programmed to be sensitive to normal levels of circulating androgens (male hormones). Hair follicles very gradually shrink and produce hairs of a thinner diameter and a shorter length with each passing hair growth cycle. While this type of thinning is usually due to an inherited trait, it can be made worse by hormonal imbalances, nutritional deficiencies or excesses, menopause, stress, thyroid disorders and a flaky scalp. As well as this, hair often thins naturally as we get older. Just like our skin and muscles, the hair ages and changes. If the diagnosis is correct and any underlying contributing factors are discovered, targeted products can be extremely helpful. Just like your skin, you can take simple steps to slow-down the ageing process of your hair. Cleanse and exfoliate your scalp frequently and use stimulating and/or exfoliating masks weekly. (PK Stimulating Scalp Mask & PK Scalp Toner). There are very good products available that add immediate thickness to the hair. For instance, lightweight protein sprays. Drops can offer a longer-term solution, improving hair volume over time. If hair thinning is being made worse by dietary anomalies, correcting these with the right adjustments and/or nutritional supplements can have a huge benefit. If a flaky scalp is exacerbating hair thinning, anti-microbial shampoos, toners and scalp masks can also help. (PK Tricho Pro Volumizing Protein Spray & PK Tricho Complex Nutritional Supplements). Avoid being rough when you style i.e. don’t pull harshly at your hair with a brush or comb/ use the highest heat setting on your dryer. Hair that is finer is naturally weaker and will therefore snap quite easily. Avoid cutting down on protein and nutritious foods, and fad diets. This is important regardless of whether you are experiencing reduced hair volume - but a poor diet can certainly make hair loss worse. Avoid products that promise to treat hair thinning/hair loss quickly. Due to the nature of the hair growth cycle, it will take from 6-12 weeks to see results from any treatment. Don’t be afraid to shampoo your hair. Contrary to popular belief, shampooing does not cause hair loss. Quite the contrary. Frequent washing helps to keep the scalp environment healthy - which is essential to hair growth. Try to avoid constantly ‘checking’ (i.e. pulling at) your hair to asses whether it is coming out. 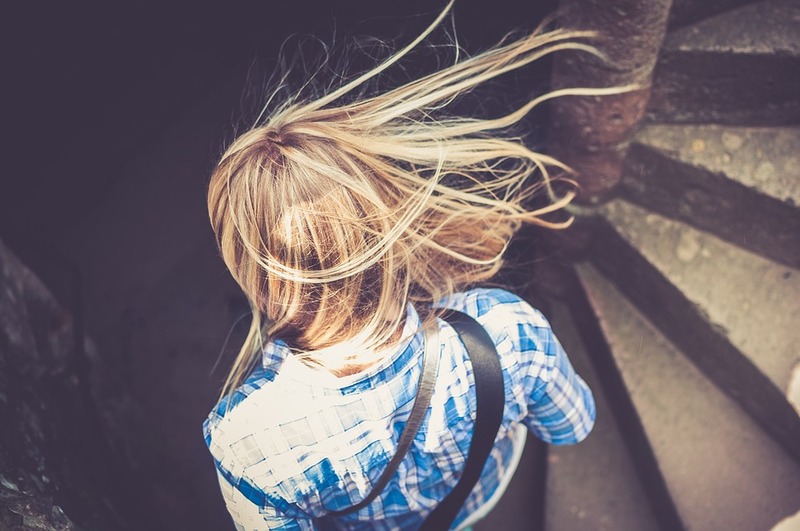 While it’s very hard not to be hyper hair-aware when you are worried it is getting finer or is falling out, repeatedly running your hands through your hair can break strands and may even pull them out from their follicle. Problems can, and often do, occur when we heat style. Heat causes moisture loss – and as blow dryers and hair straighteners can get rather hot, they have the ability to substantially deplete moisture within our hair shaft. Our hair’s elasticity and strength are largely reliant on its water content, so this can cause dryness, brittleness and breakage. The higher the heat, and the longer the heat is applied for, the more likely it is our hair will be damaged. At its most severe, heated styling tools can cause ‘bubble hair’ – a condition that occurs when your hair becomes filled with tiny air bubbles. How does it happen? Very hot blow dryers over 175 C and straighteners over 125 C can cause moisture within the hair shaft to rapidly steam and expand, creating tiny air pockets within the hair fibre. If this happens, you will notice the formation of little bulges or ‘bubbles’ along your hair shaft. Where these bubbles form, hair is very weak and fragile. Unfortunately, you cannot reverse bubble hair. It is not just heat that can damage our hair when we style – the brush we use can also cause problems. Boar bristle brushes in particular are horrid for our strands as they slough off sections of the hair’s outer protective cuticle. If you feel boar bristles, they are quite coarse and scratchy. Now imagine them sweeping down your hair shaft! Metal pronged brushes are similarly damaging as metal can get very hot, burning both your hair and scalp. We should never apply high heat to our scalp. Being skin, it can burn and become dry and irritated. Hair is technically dead tissue once it emerges from the scalp – and so, unlike our skin, it does not regenerate itself. Therefore, when your hair is structurally damaged (i.e. burnt, nicked or scratched), you cannot completely reverse it. That said, you can certainly improve its condition as it grows out. However, if your hair has just been a bit dehydrated from a few heat-styling sessions, you simply need to take steps to re-moisturize it. I recommend using an intensive pre-shampoo conditioning treatment, such as Elasticizer, twice a week. These draw water into the hair shaft to restore elasticity and shine. Finer hair is more susceptible to heat damage simply because, by virtue of it having a thinner diameter, it is less robust. Porous, processed hair will also be more vulnerable to moisture loss and dryness. If your hair is heat damaged, it will be dry - so it needs to be intensively moisturized! To rehydrate strands, use a pre-shampoo conditioning treatment twice a week. I recommend our Elasticizer. It draws water molecules into the hair shaft to restore elasticity, manageability and shine. Pre-shampoo treatments are great for those with a hectic schedule as they can easily be worked into any routine. Personally, I sleep with Elasticizer in my hair. Many of my clients apply it before going to the gym or sauna. Use a heat protective spray - these form a protective barrier between your hair shaft and heat from styling aids. Keep in mind that protective products only minimize damage, they don’t 100% prevent it - so you still need to be careful! Prevent future damage - use a low to medium heat setting when you style to help prevent scorching. Don’t hold your dryer too close to your hair when styling. Half an arms-length away is a good distance. Turn the dryer/straighteners off when your hair is ‘just dry’. Applying heat to hair that is already dry will evaporate water from within the hair shaft. Use a hair friendly brush. Brushes with rounded plastic prongs positioned on a vented base are best. This is because plastic prongs do not get hot, and the base allows for heat dissipation. Rounded pins also do not scratch the hair cuticle or scalp. Do not use hair straighteners more than once a week. The temperature of hair straighteners (160 – 230° C) is often higher than the temperature needed to caramelise sugar or bake a cake. You are literally scorching your hair as you use them. Use a heat protective spray. I recommend our Daily Damage Defence conditioning spray. UV rays oxidize and degrade your hair in a similar way to bleach, and can burn your scalp just like they can the skin on any part of your body - especially along your parting, or in areas where the hair is thin. The amount of damage depends upon how long you spend in the sun, and the intensity of the UV rays. Being by the beach/in the water also increases damage, as rays are reflected, doubling exposure. As for salt water, it leaches water from your hair causing dryness and breakage. While these factors are more pronounced on summer holiday, accumulative damage from the UK elements can also be harmful. The best way to protect your hair and scalp on holiday is to wear a hat. This is what I do, and it has never failed. If you’re not an avid wearer of summer hats, apply a hydrating sun protective water-resistant cream to guard against damage. I make one called Swimcap Cream, which I originally formulated for the US Olympic Synchronized Swimming Team. 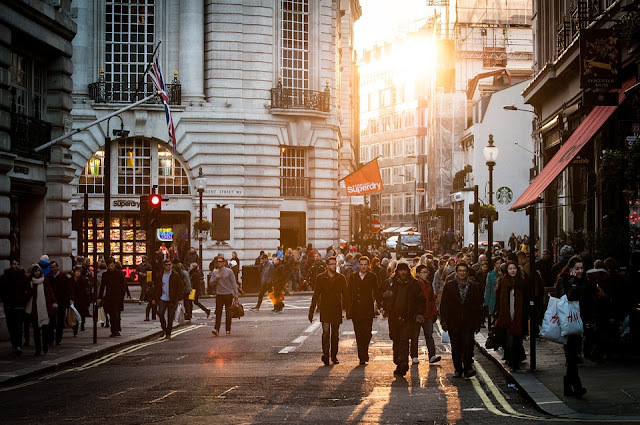 For daily protection in the city use a lightweight leave-in conditioning spray that contains UV filters. A weekly pre-shampoo conditioning treatment will help restore lost elasticity and moisture both at home and abroad.